Astonish allies and opponents alike when you wield Lonnars LARP Hammer. 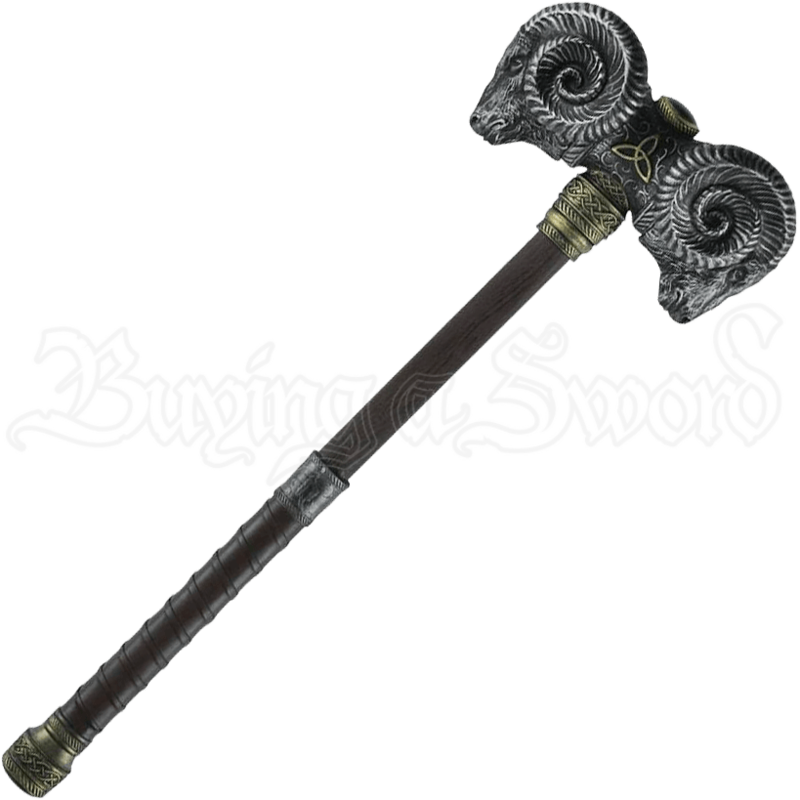 This fantasy LARP war hammer has a pair of impressively detailed, steel colored ram heads as its double-sided head, accented with antiqued golden Celtic knotwork. An emerald colored foam gem adorns the top of this foam LARP hammer, between the two ram heads. The haft has a wood look with a steel colored ring before the suede like-wrapped grip, and the pommel is an antique gold color with an emerald green cap. This LARP battle hammer is made of latex-free, ultra-durable Calimacil foam around a flexible fiberglass core. 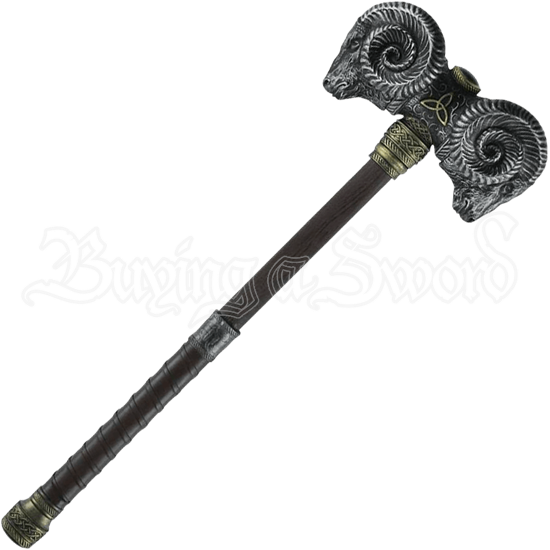 Soft enough for safe play yet incredibly durable, this fantasy LARP hammer has amazing detail throughout its statement-making design, perfect for powerful warriors and mages. With its versatile, easy-to-manage length and light weight, you can deliver powerful yet safe attacks with this ram headed LARP weapon.